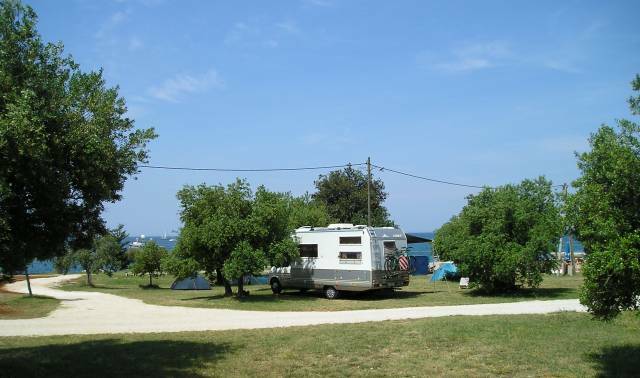 The 15-hectare campsite, situated near a magnificent bay, has a variety of trees and walled steps. Campsite info: supermarket, restaurant, beer parlour, internet corner, exchange office, dog shower, hiking, cycle track. Bathing facilities: 500m-long, narrow pebble beach with concrete sunbathing areas, separate beach for dogs Sport and entertainment: tennis courts (floodlit), minigolf, table tennis, scuba diving centre (1km), windsurfing, bike rental, riding (2km), sailing, hiking, paddle boat and pedalo rental, children's playground, aquagym, live music, folklore events, miniclub, teen club, entertainment (July - August). 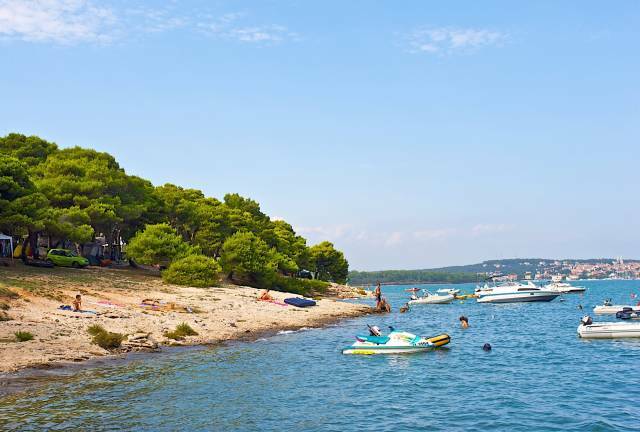 Surrounding area: village of Tisno, old town Šibenik, Kornati Islands National Park, Krka waterfalls, Vransko lake, daily boat trips, city of Murter, Zadar. 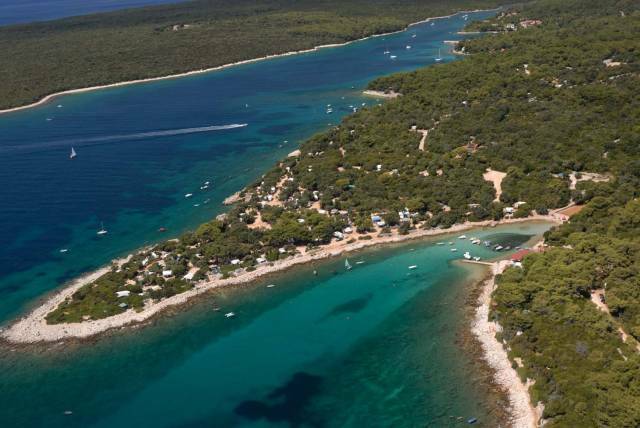 Miscellaneous: highly recommendable for people with boats, boat mooring directly on the bay "Holidays in the Kornati! ".